It can't get much better than this. 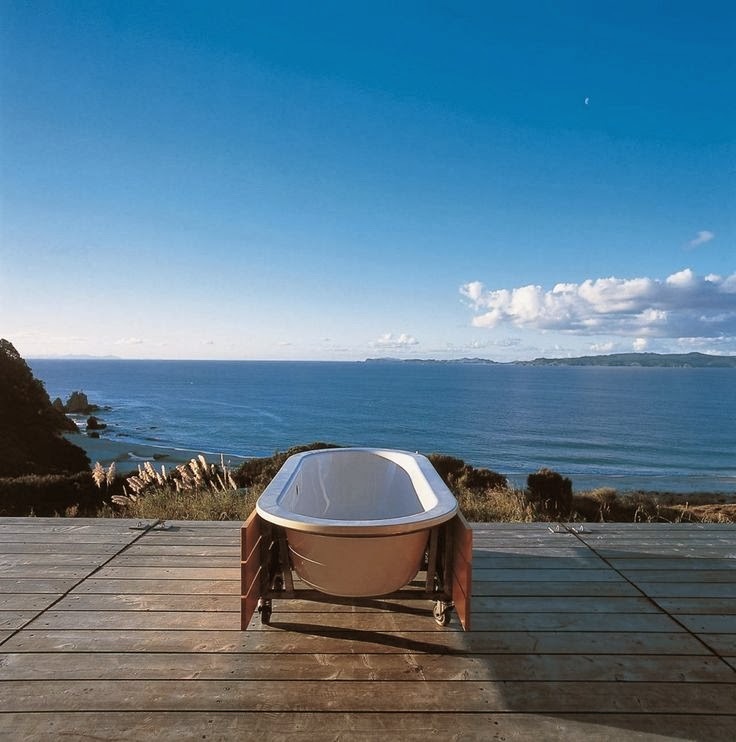 To be able to wheel your tub out to the end of the dock and take in all this view. Wow! I'm hoping they can flip up those wooden panels on the side of the tub so that a little brunch spread could be served up along with a nice pile of magazines. Just had a little morbid thought, now this could also be a death trap! Hopefully those little wheels lock in place in case you fall asleep and the tub begins to roll, rolling, rolling, zzzz.....Ack! Over the cliff you go. Calgon would have really taken you away then! Or if someone wants their inheritance asap, a little nudge in the right direction...that`s all I`m saying. Maybe a little glass railing at the end of this dock wouldn't hurt.